The U.S. Department of Energy recently revealed that energy-efficient products can reduce your household energy bills by up to a third. Not only does this drastically improve your finances, but it also significantly heightens the environmental efficiency of your home; reducing your carbon emissions due to unnecessary energy expenditures. One of the most environmentally friendly modifications you can make to your home is replacing old windows with new energy-efficient ones. Depending on the brand you choose, you may even be eligible for environmental tax credits; saving you yet more money you would have previously expended on energy bills. Listed below are some of the lucrative tax incentives for which you may be eligible if you install environmentally friendly windows within your home. Currently there are several federal and state renewable energy programs which offer tax credits to homeowners who perform energy-saving household upgrades. These tax incentives are intended to cover the additional expenditures of installing environmentally friendly upgrades as opposed to conventional products. These credits apply to both new and existing construction, and cover both your current home and any new construction. If you complete these installations by December 31, 2016, then the government will cover 30% of the total cost of any household installations you make, with no upper limit. However, bear in mind that these tax credits vary depending on which US state in which you reside. To find accurate information relevant to your area, it is advisable you visit the US Department of Energy website. If you visit the EnergyStar web site you can view the full terms and conditions in order to ensure that you purchase the specific products which qualify your household for this tax credit. You can also check with the company from which you buy your windows or other household products. Many companies, such as Sash Smart will notify you when you purchase your products whether they qualify for energy-efficient tax credits. If eligible, you will receive a tax credit equal to 10% of the cost of your windows, which may be worth up to $500. Subsequently, when purchasing new windows, it is worth considering energy-efficient upgrades. Not only will these products improve the insulation of your household and its environmental efficiency, but they can also offer you significant financial incentives. 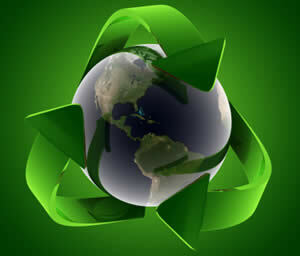 The more environmentally friendly your home, the more credits for which you qualify. For example, if you decide to install further products such as solar panels or geothermal heat pumps, you become eligible for 30% tax credits with no upper limit. Therefore environmentally friendly household modifications can save your bank balance as well as the planet! the post I read. And on this post Environmentally friendly windows for your home | Borderless News and Views. posting on additional online sites, I’d like to follow anything new you have to post. desire more? I mean Environmentally friendly widows for yur home | Borderless News and Views is a little boring. you’re buying a new router. For those who possess a wireless g router, it will be advisable to enhance to a wireless n layer 3 switch. Many wireless-n routers additionally employ multiple-input and multiple-output (MIMO) radio antennae to boost speeds. at appropriate place and other person will also ddo similar in support of you.